The video was developed from the Pure Digital Point and Shoot videos camcorder. This was around May in 2006 after the CVS, a product known for its one time operation camcorder. The pure Digital Point was sold through CVS, the pharmacy stores which converted them to DVD. This product also was from the chain of the disposable camera under Ritz Camera. In 2006 September, the camcorder was now named the Flip Video and Flip Ultra was released in 2007 September. The Ultra version has received wide market and use internationally. In 19th March 2009 Cisco System took the Pure Digital Technologies which makes Flip Videos a process that ended in May of the same year. Several models of Flip Videos are today found in the market these include the Flip HD, Flip Mino, Flip Mino HD and the Flip Slide HD (Mossberg, 2006). Cisco Company finds its origin in San Francisco from a couple computer operation staff members of members of Stanford University in 1984. Today it is a multinational Company based in California. Currently, the company has over seventy thousand employees earning over forty billion dollars revenue. Today the company operates on a range of services and products which includes architectural services, hard and soft wares, and voice over IP and hosted collaboration Solution (Boehret, 2007). As one of the cameras with high demands HD is a slim ultra camera. It has high video capturing system of 720/60fps from its very simple interface. It has longer shooting time of up to two hours and also very easy to handle. This is a result of its large in-built memory of 8GB. It has high video stabilization when in use for proper images; in addition, its well equipped with powerful ultra video battery and backed up by the AAA lithium powered battery (Boehret, 2007). This machine is well served with a USB which is a built in and Mac for soft ware loading and launching tentatively. It has a well high performing edit share for taking photographs, edition of videos, creation of custom movies and for sending greeting cards. This camera also gives an opportunity to watch videos though its HDTV connection system. Moreover, most of HD H264 videos are compatible with most machines like the window players and iTunes. It has well protected clips through its child safe system. Lots of recording nevertheless can be done in silence. Finally, HD has high sharing system with quality and speed (Mossberg, 2006). The market for Ultra cameras has gone very high following high promotions which are tied to it. Most of this product receives high internet and other social media marketing strategies. In the internet, HD products have been highly promoted by the application of one to one method. This has seen several internet browsers coming across messages related to the topics associated to the products. Normally the clear HD images are displayed on the windows with some of its promotion words. Prices are normally displayed to the consumers as well (Boehret, 2007). HD promotion aspect has also taken appealing to interest system where by the target group are identified mostly the youth who are constantly the victims of technological changes. Market niche internet promotion has also been widely used in the HD videos, this by the customers get to familiarize with the specific product. These sites have become specifically for these customers. Print media and Televisions have also been used to get these promotions to the consumers. Magazines and journals have been used intensively with all the information and pictures of these product displayed. Televisions also have intensified HD product promotions across different stages. This has seen many people turn to the products as they acquire more knowledge from the social media. Film industry has seen a great evolution mostly attributed to competition. There have been a lot of changes in technology as seen when the Sony Company came up with its laser JPEG technology, subsequently Fuji Company pioneered the Smart Media memories. These are just event lately traced in late 1990s. These competitions have led to the developments of memory as well as the credit cards. Other companies like Vtech and Fisher are diversifying to different population structures as they work towards satisfying children with their products (Osterwalder, 2010). Digital cameras came into the market and started sweeping the film system out of the market; this can be seen by the reduced market demand for the film cameras. Competition today, moreover, is majorly based on cheap products with high quality storage, photographs, ability to share, strong battery system, sleekness and their compatibility with computers and other electronics. This has made many companies to come up with new innovations like editing and texting systems on the cameras. Taking these into consideration, SWOT analysis is needed to determine the market position of HD video cameras in the market (Osterwalder, 2010). The analysis needs to cater for factors that include, what is our position in the market; the companies dealing with this product should determine their sales position in relationship to what the competitors are doing. They are supposed to adjust accordingly with the market trends. 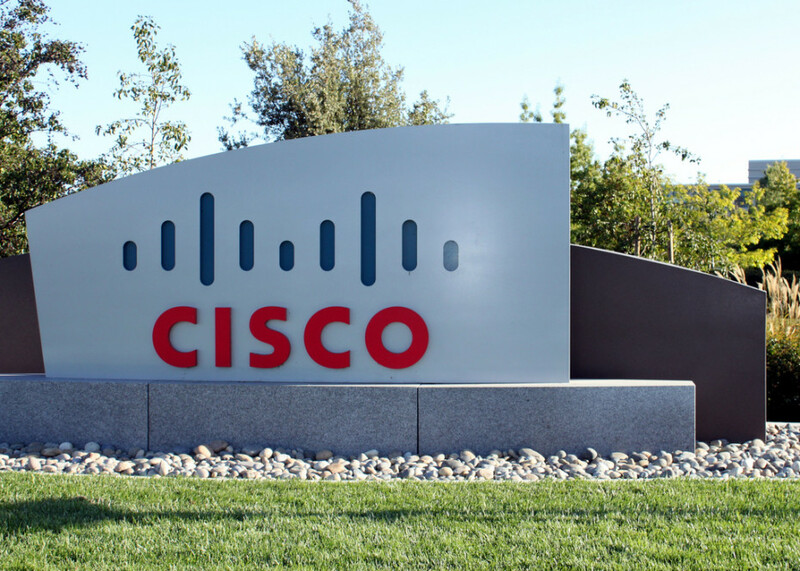 Who are our customers, since most of these products are aimed at the youth; the HD producers like Cisco should be able to know the demand of these youth concerning video products. It is also vital to for the Company on getting the group on their social site for easy promotion of the products. The company should be able to know its market share in terms of geographical and quantities measures such that its production and logistic measures meets and satisfy all the customers. The consumers should be able to access these products at their convenient and timely. A questionnaire was constructed as the primary research tool, it was well structured to include the following aspects of the product and the target audience: beliefs, audience attitudes, audience behavior towards the product, existing competitors and weaknesses in the existing market. The research tool was also steered to find out the existing gaps in the market and to establish whether brand contact points exists. An online survey research was conducted on Flip Video HD, to ascertain some useful facts about this product. The survey outcome would be used by the manufacturing company to adjust accordingly and help build the Company’s image, identify advertising media or means to reach the target audience and also to look into the existing gaps in the market. Survey research was conducted online, the sample was randomly taken through online method of research. The target audiences were the youths (Osterwalder, 2010). The instrument of survey applied was questionnaires, which were administered by a research company known as statistics solutions. A sample questionnaire is attached under the appendix section for cross reference. The survey took a maximum of one week, from 21st May to 28th May, 2011. All the desired data were collected relatively a small duration due to the simple mode the questionnaires, which were administered. The result analysis was equally done in a short time. The results were analyzed using the scientific systematic methods. The target audiences were the youths while the target market was nternationally oriented, the research tool was therefore designed to meet all these targets. Samples of 100 youths were served with the questionnaires to answer online and submit their result to the company that was conducting the research. The online respondent were compiled and studied to meet the aim of the experiment. The answers on the questions asked were analyzed to ascertain subjects of study as was outlined in the experiment. The questionnaires were evaluated using Excel Spreadsheet for easier translation and understanding. An excel table is important to this document for easier comparison of the obtained values. The research questions were grouped according to the objectives of the study (Behling & Law, 2000). To establish the existing market, the question on whether one has ever had a Flip Video HD and whether the responded had it were separately analyzed for easier interpretation. The questionnaire questions that were related to the above subjects were analyzed. (Refer the table actual values obtained). From the results that were drawn from the market research. There were up to 50% among the sample who had never had Flip Video HD while only about 23% of the clients being in its possession. This revealed a small market that needs quick expansion. This was a good show that the market share was minimal despite the positive attitude that was possessed by other clients. Generally the target audiences have a considerably positive attitude towards the product. However there is need for a well established system that can create a permanent customer loyalty for this strength. The client needs better ways of marketing in order to be a float in other key sectors as well. There is need for extensive design to keep the clients and even widen the capacity for the potential customers who appreciates alternative sources. The client’s performance is much reduced compared to the target market, which is also noted with deep competition. The Company needs to get new strategies that can help the products expand its market. Therefore, a strategic promotional policy needs to be in cooperated for affectivity of sailing in the market.